Posted on January 15, 2019 | Comments Off on I Stink! 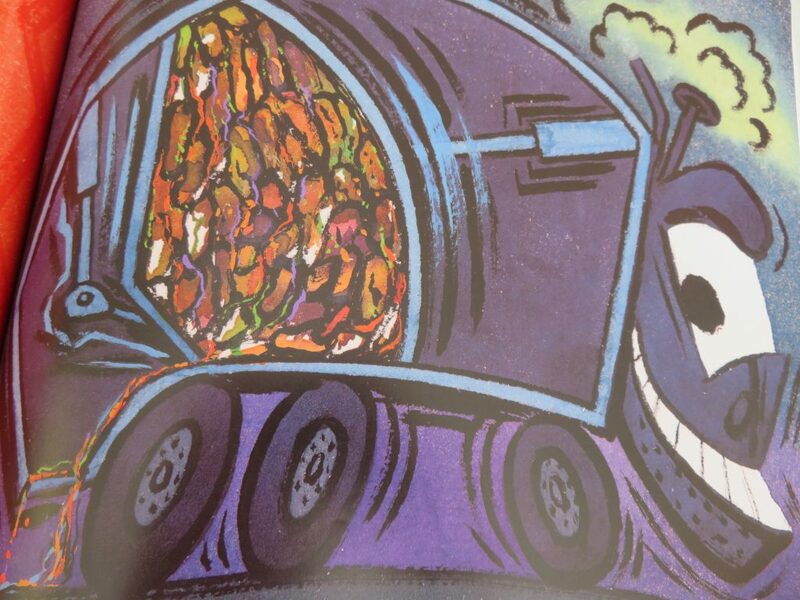 A rollicking rhyming scheme, a rough and ready narrator (a New York City trash truck), and plenty of gross-out humor make this lots of fun for the younger set. There’s even an ABC interlude (from Apple cores to Zipped-up ziti with zucchini). This was very popular for a long time at our house. This entry was posted in Board Books, Picture Books and tagged alphabet, food, I Stink!, Jim McMullan, Kate McMullan, Machines, USA. Bookmark the permalink.